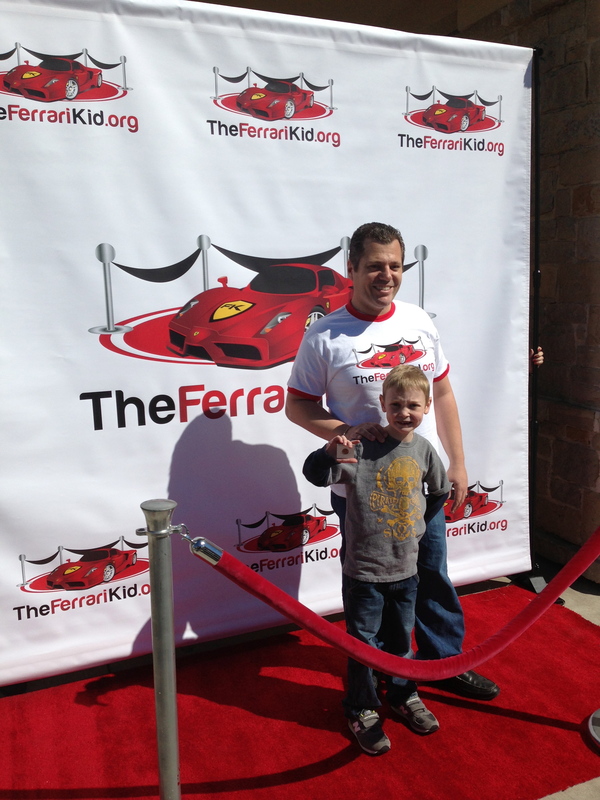 Last week, I received a call that Colman’s cardiothoracic surgeon gave his name to someone with theferrarikid.org. I wasn’t really sure what that was, but Manny called that same night and said the purpose of their organization was to take kids who are sick and make them feel special and give them a memory that will last a lifetime. He wanted to make Colman feel like a rockstar. Liam and Colman were super excited to check it out up close and personal. 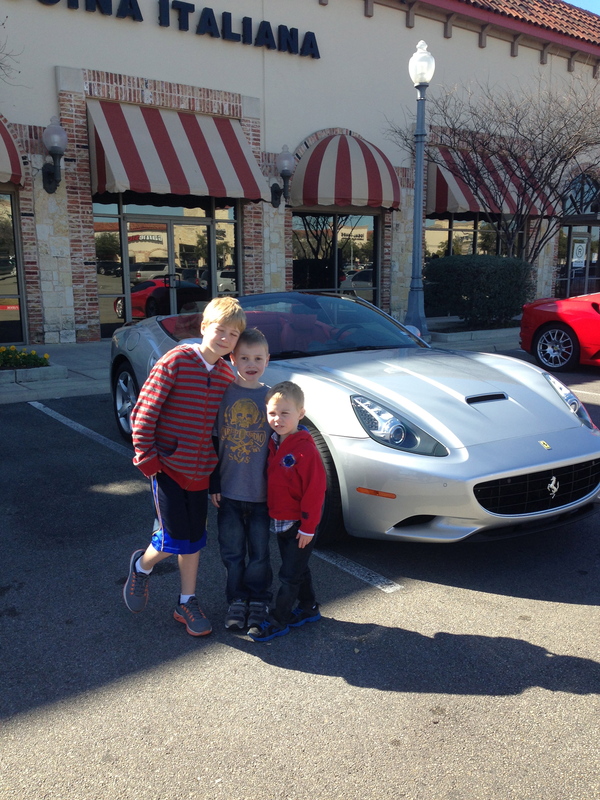 Then the second Ferrari arrived. That’s my nephew, Carter, in the picture with the boys. 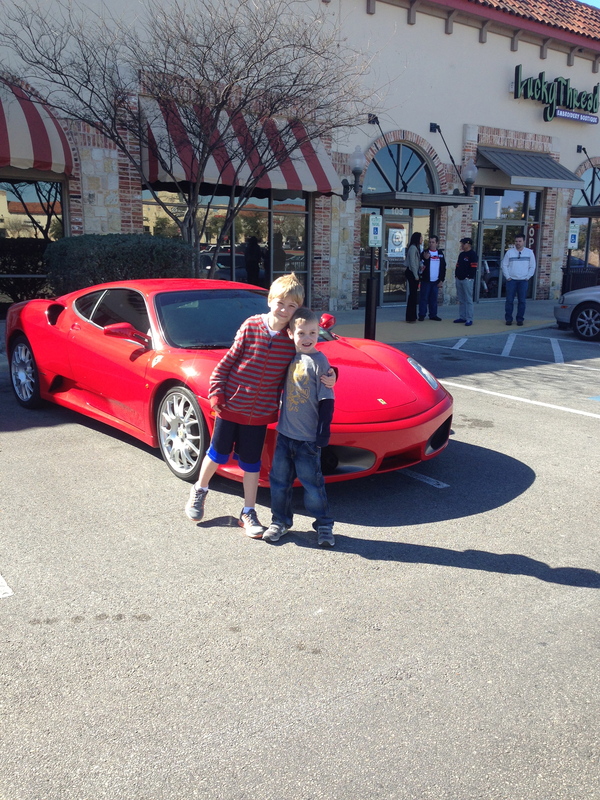 Colman chose to ride in the red one. Of course! Colman’s ride ended at The Main Event, where his friends were waiting for him as well as a red carpet with paparazzi and people asking for Colman’s autograph. I am not sure his smile could get any bigger! 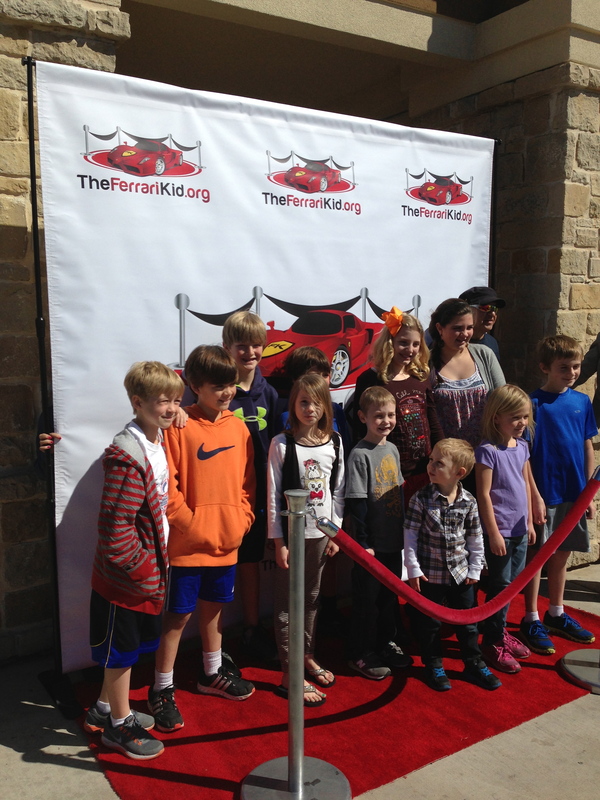 A huge thank you to Manny and theferrarikid.org! This is definitely an experience he’ll remember forever. Today Colman and I will be heading to Houston for our appointment tomorrow morning. I will update again after his appointment. P.S. 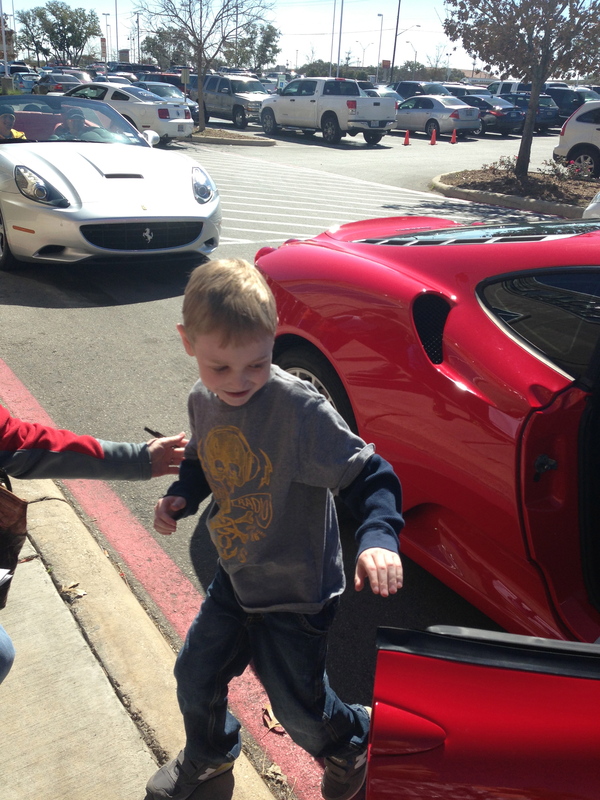 If you received a photo of Colman and a Ferrari, and that was all. Sorry. Still figuring out this program and that was my ineptitude at its finest. What a wonderful day for Colman!!! His smile is so big and bright!!!! Love you guys and miss you tons!!! Thrilled for him, that he got to have that experience! « Happy Congenital Heart Defects Awareness Day!